For a business that operates within areas where the use of foreign currency is prevalent, then they need invest in the best mixed denomination bill counter in the market. A mixed denomination bill counter is a machine that can count the local currency plus a number almost all the major international currency including dollars, pounds, euros amongst others. However, there are some things that they need to consider when it comes to investing in these machines. Among the key thing that needs to be looked at is the accuracy of the sensor controls. This is the entire system that helps to read the notes as well as help to detect the fake or counterfeit money. The system some of the technologies such as the UV, IR, IM, MG, and CIS amongst others which detects not only fake notes but also half notes, double notes, and chain notes. Here are two reasons for having this system in the best condition. If the sensor control system is not working properly, then you will have a problem with the accuracy of the machine. First, the machine will not be able to provide accurate figures for the number of bills that have been counted. In addition, you will be unable to detect the fake currency which is one of the biggest problems with international currency. So the business stands at a risk of being robbed by criminal elements who make and use fake money. Therefore, you must ensure that you have maintained the system in the best conditions to enjoy the features of the best mixed denomination bill counter. 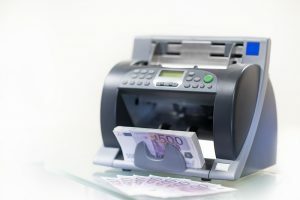 Even if you have the best mixed denomination bill counter, when the sensor controls develop some problems, it affects the operations of the business. For instance, of it a bank and have a customer lined in the queue, then you need a machine that will provide accurate count within the shortest time possible. But when you have a sensor control system that is faulty, you will take more time to verify the authenticity of the money. Therefore, for business to operate smoothly, you need to have an accurate sensor system in place. These are two main reasons why you need to have an accurate sensor control in your mixed denomination bill counter. They cost of running a faulty system is too huge that any business would not like to go down that route.